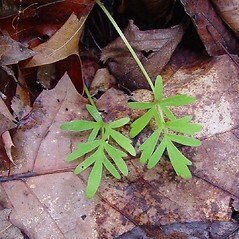 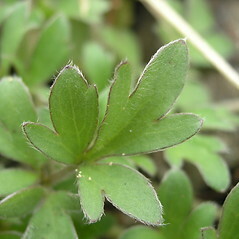 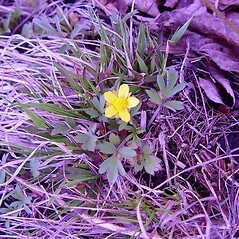 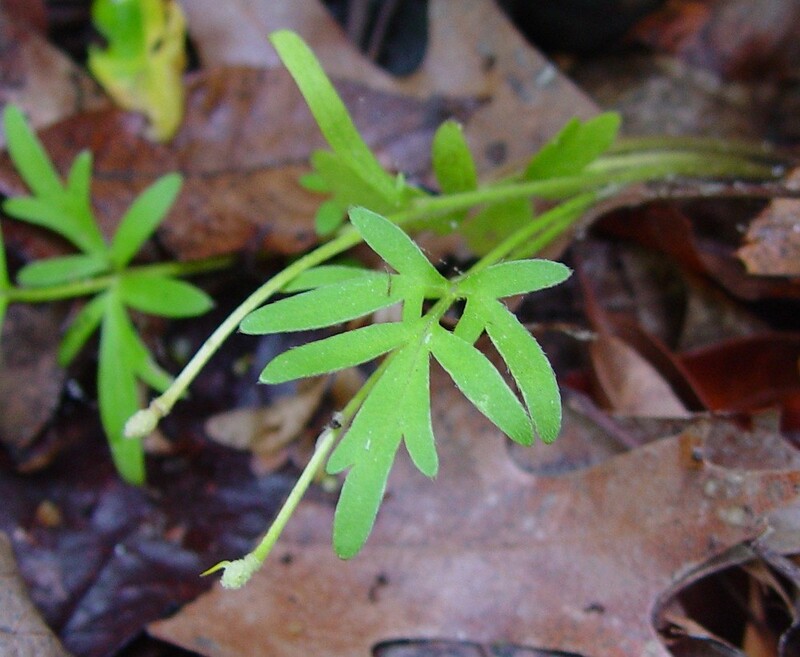 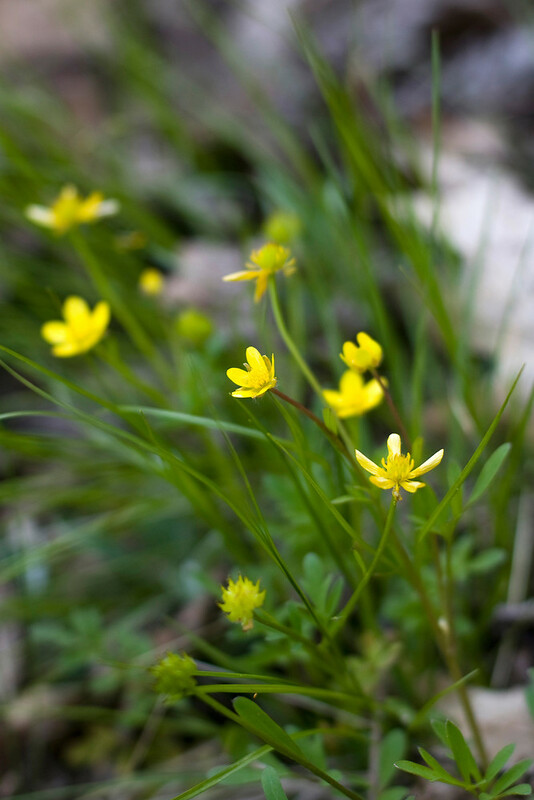 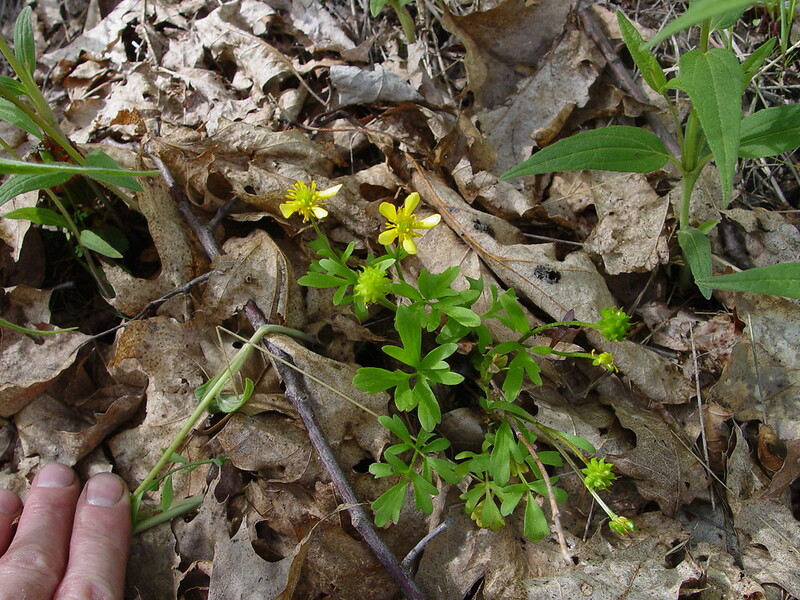 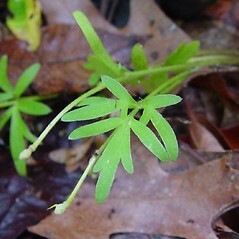 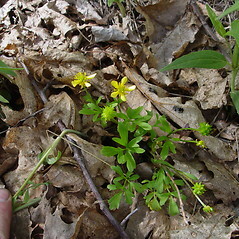 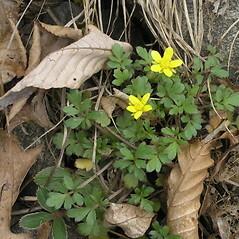 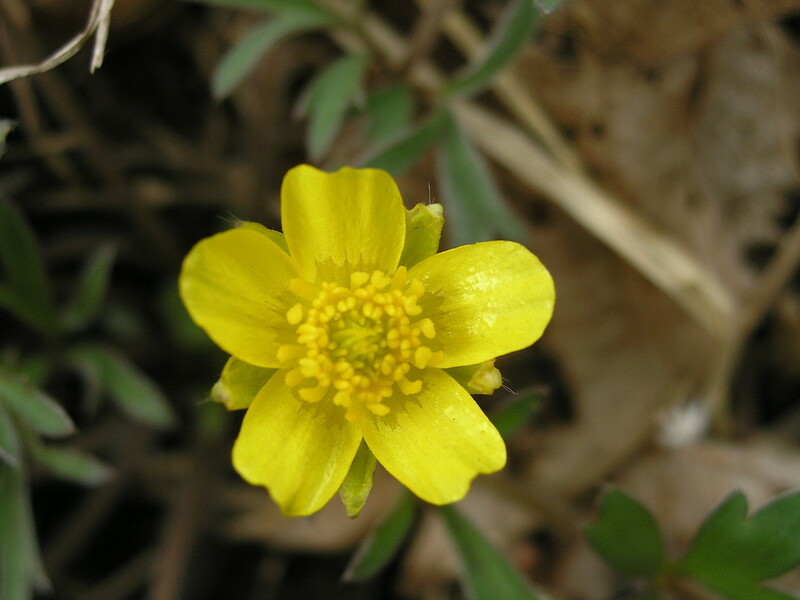 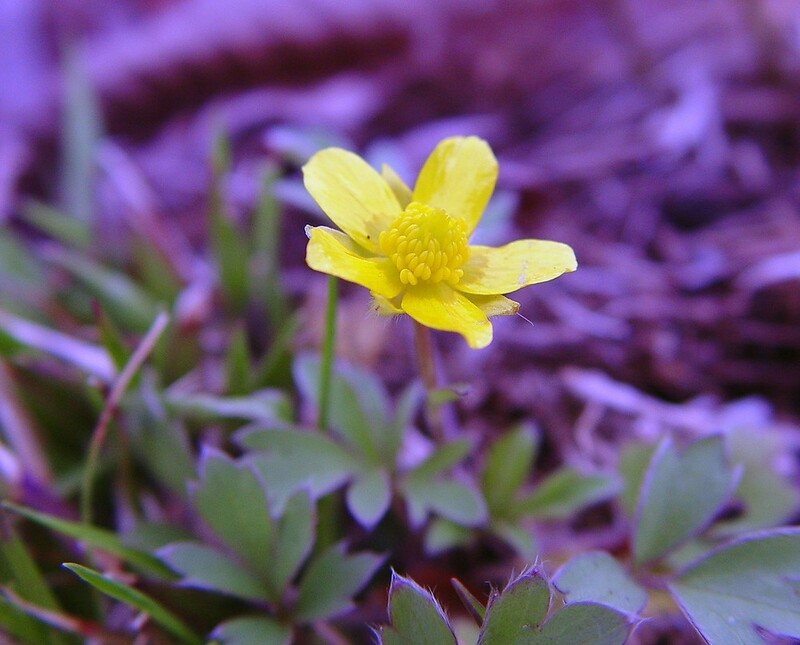 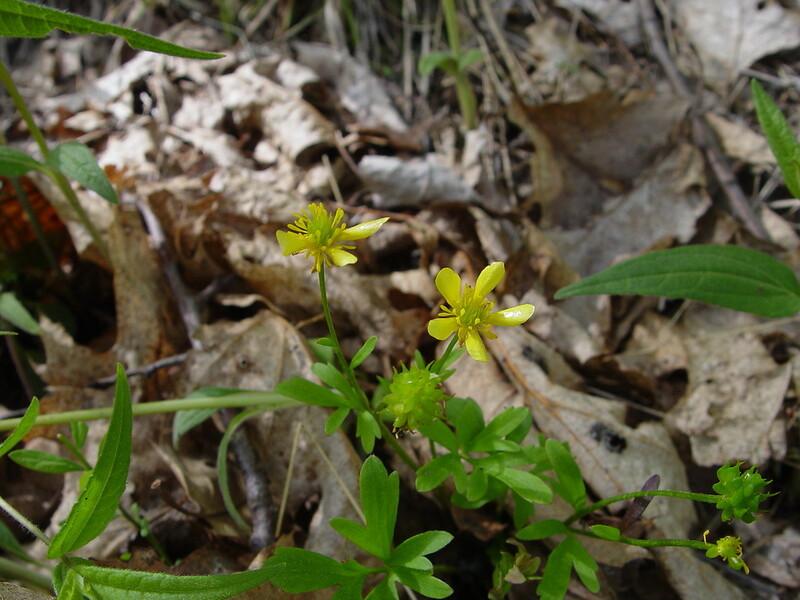 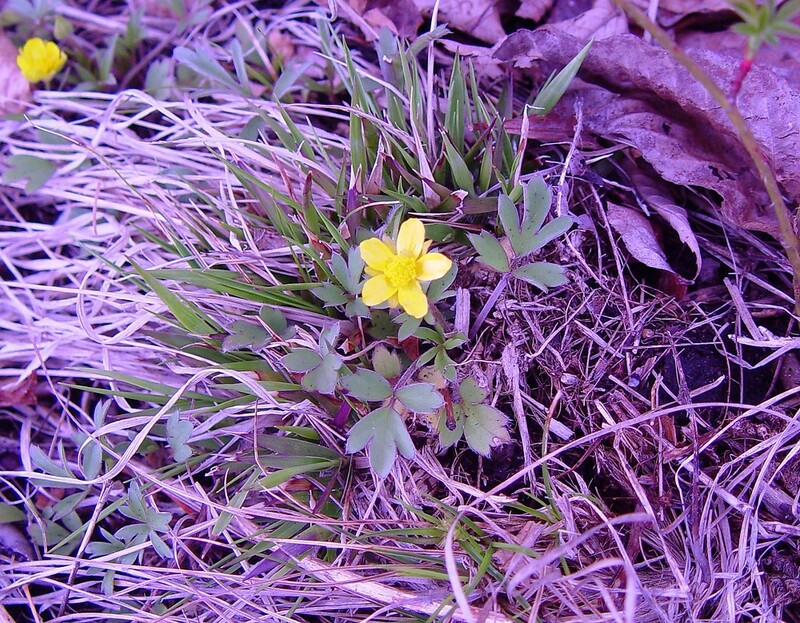 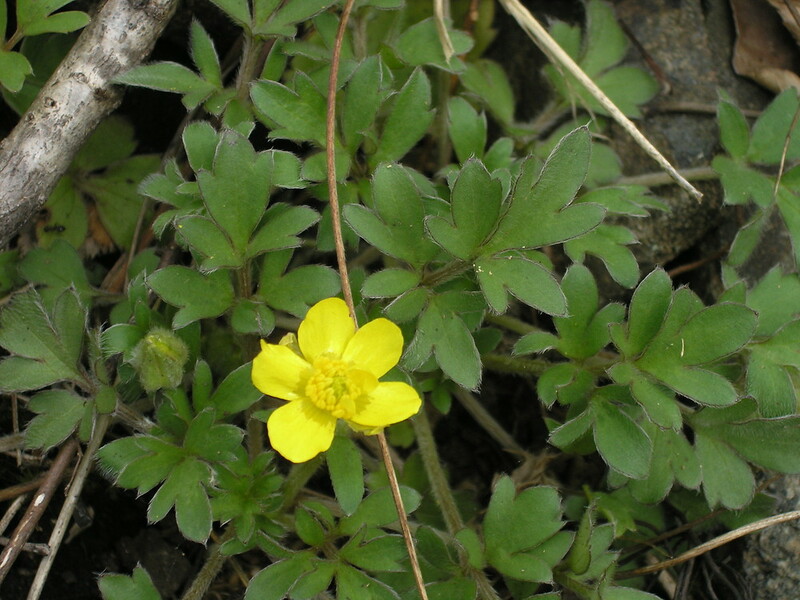 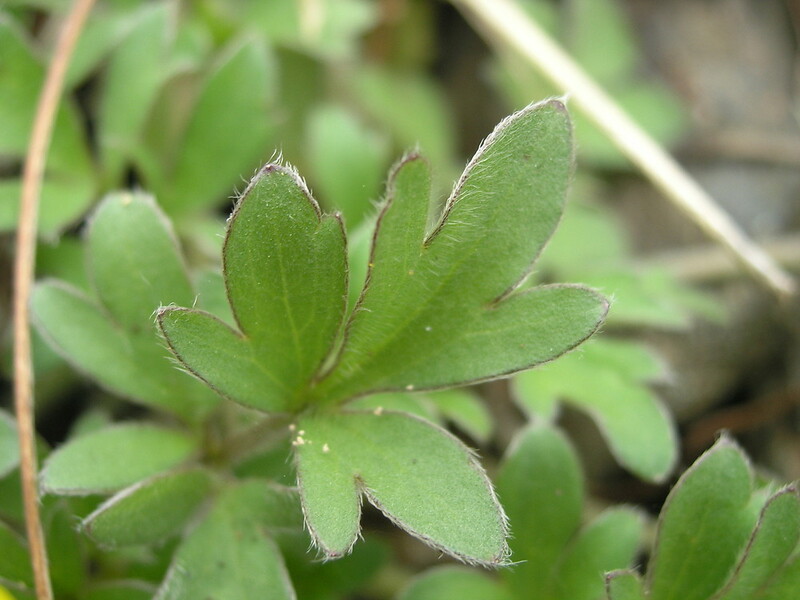 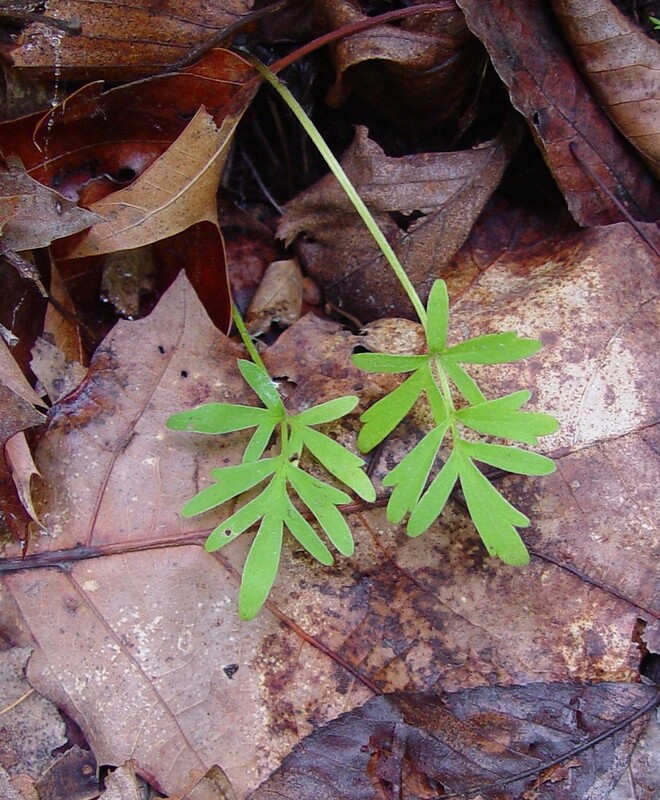 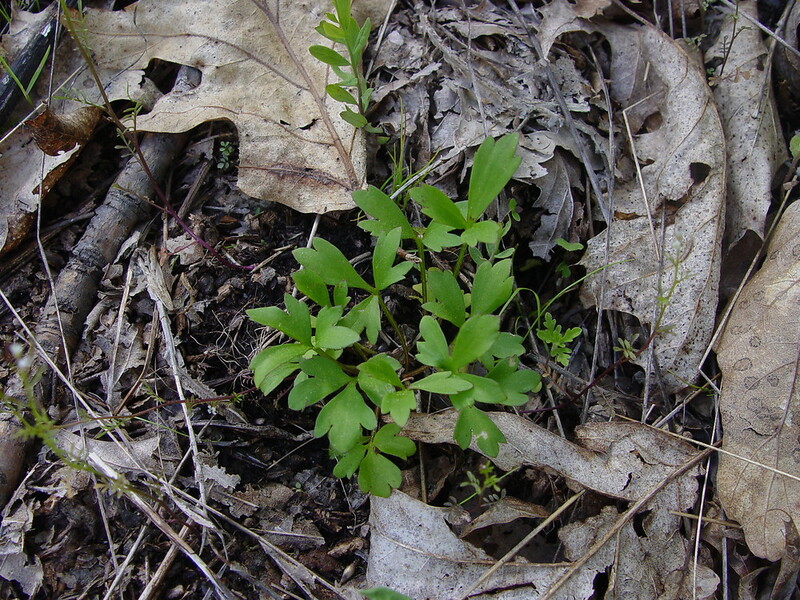 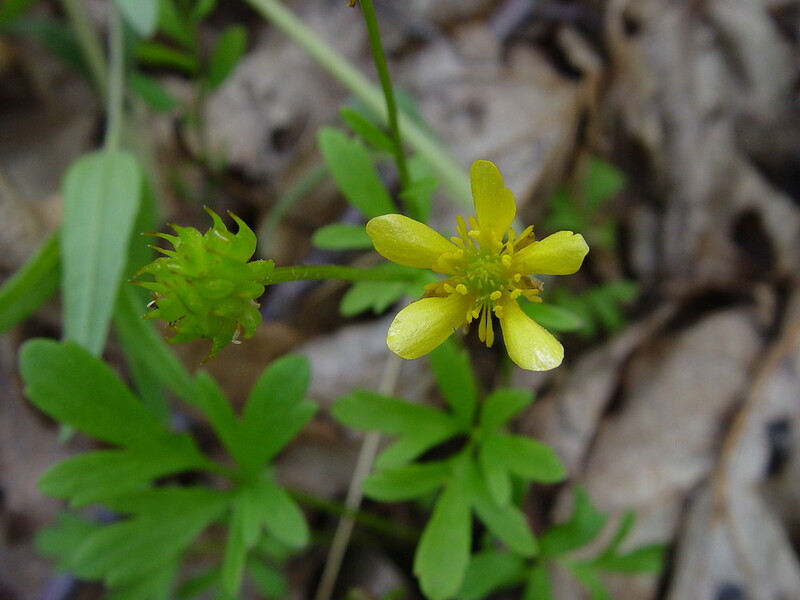 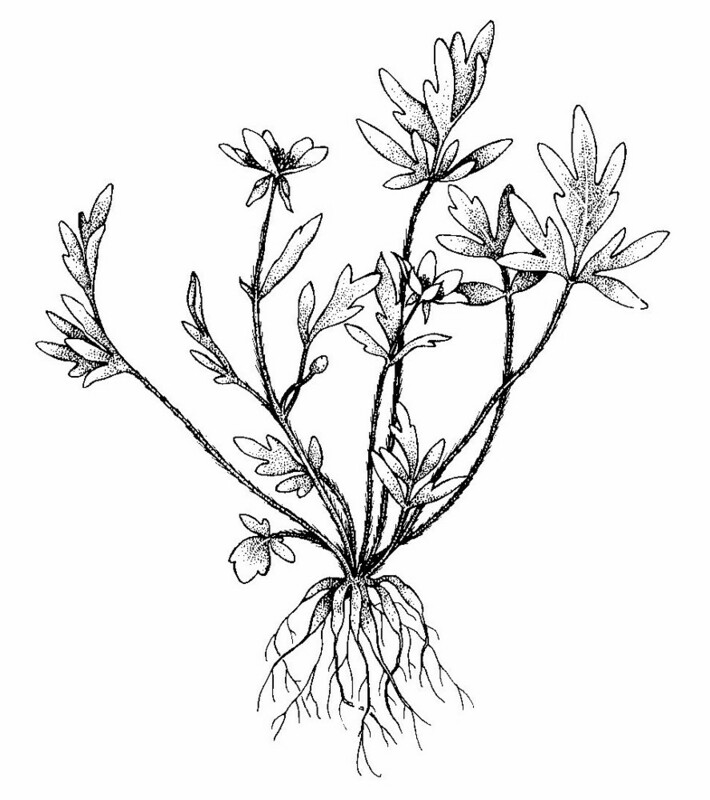 Early crowfoot occurs in rocky forests and woodlands and on ledges, often in areas of neutral to high-pH bedrock. 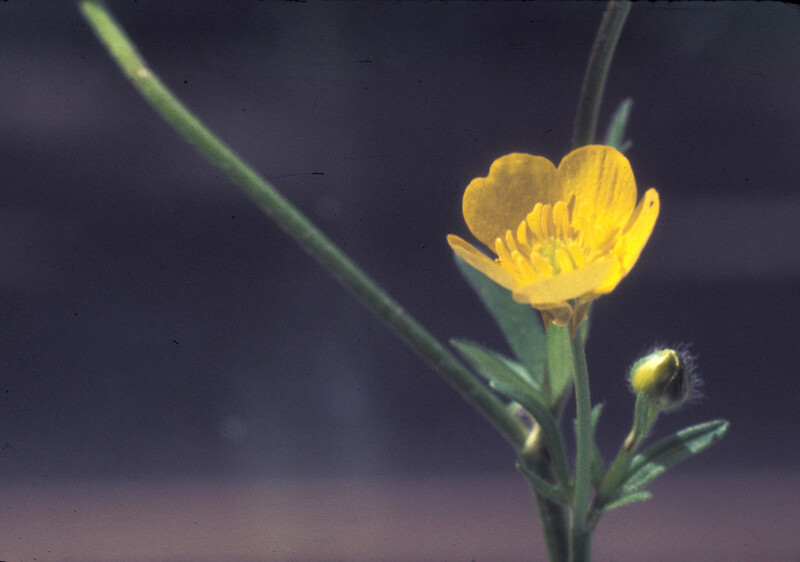 It is one of our earliest-blooming crowfoot species, producing small (petals 5-7 mm long), yellow flowers in April and May. 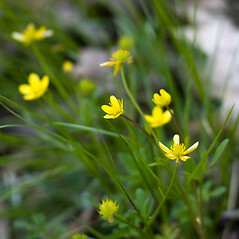 It grows to 30 cm (12 inches) tall from a rosette of very deeply lobed leaves. 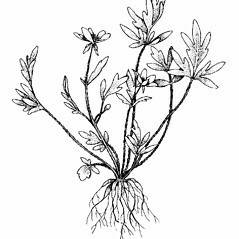 roots all slender and petals usually widest distal to the middle (vs. R. fascicularis, with some roots tuberous-thickened, the others slender, and petals usually widest at or below middle). 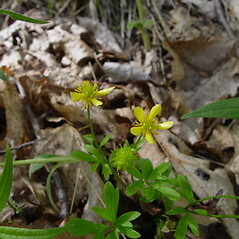 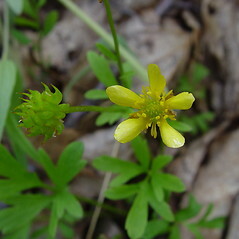 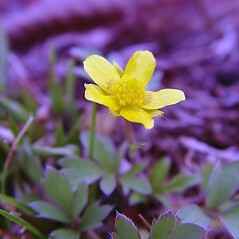 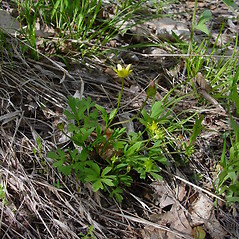 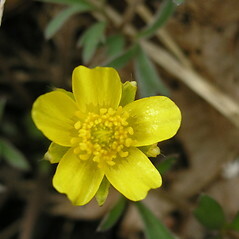 Ranunculus fascicularis Muhl. 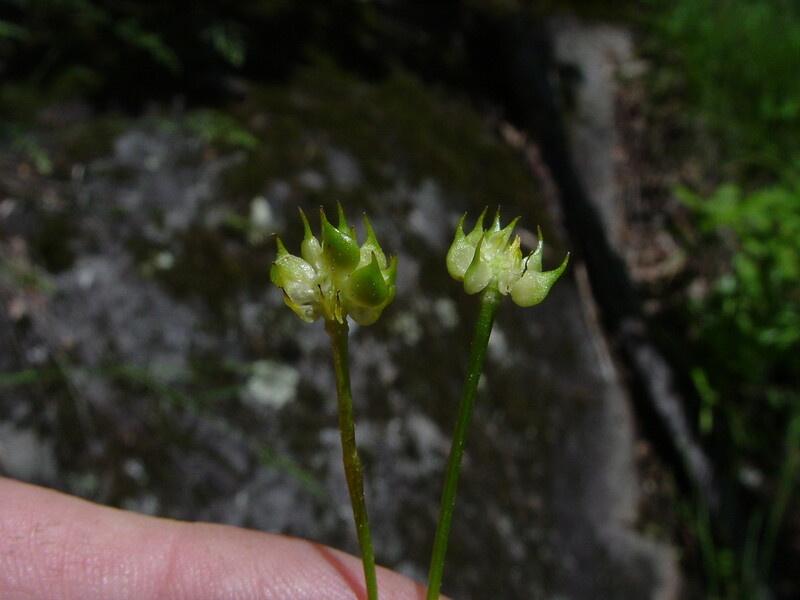 ex Bigelow var. 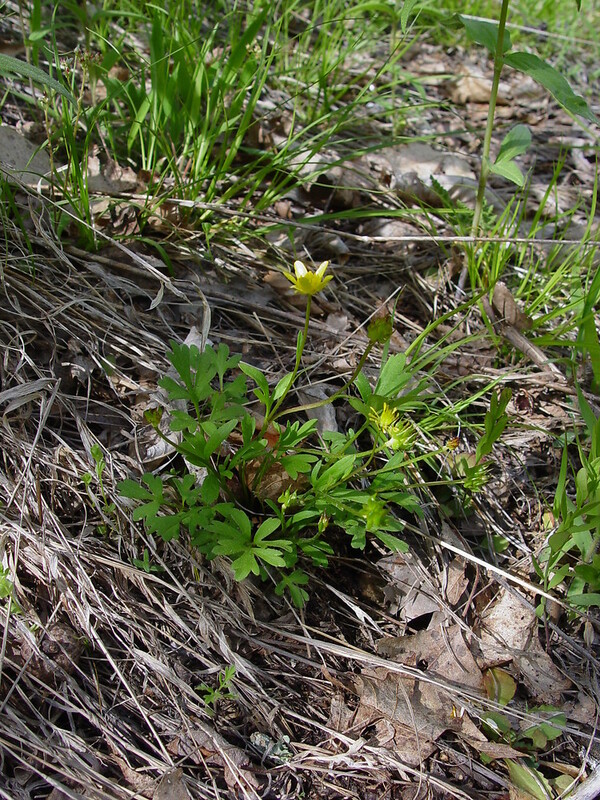 apricus (Greene) Fern. 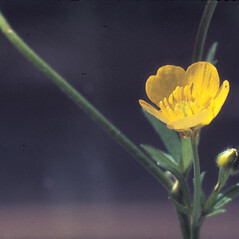 early crowfoot. 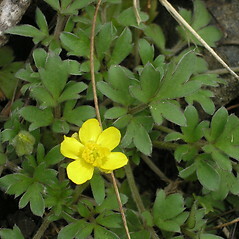 Ranunculus fascicularis Muhl. 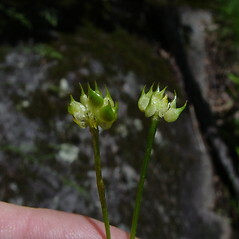 ex Bigelow var. 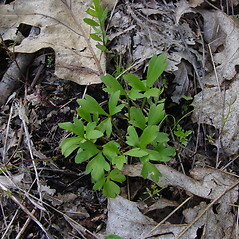 apricus (Greene) Fern. 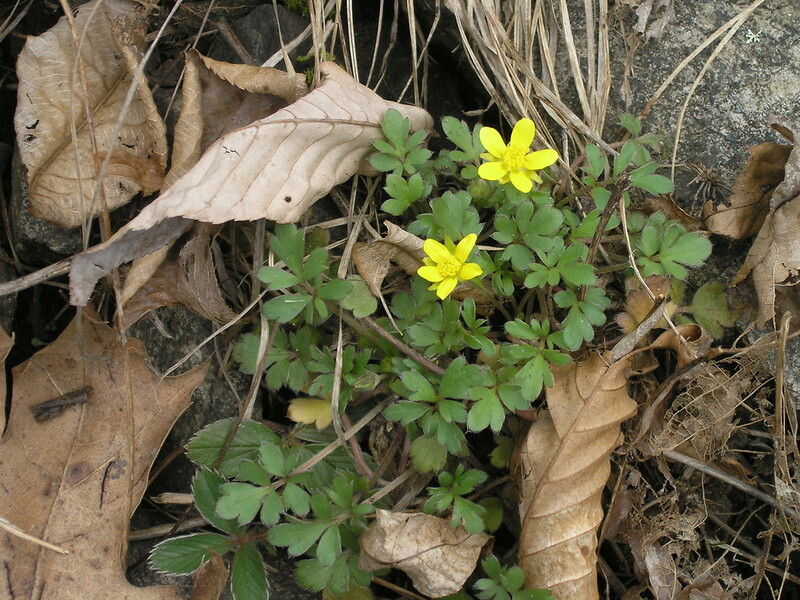 • CT, MA, ME, NH, VT. Rocky, commonly dry-mesic, forests and woodlands, ledges, often associated with circumneutral to high-pH bedrock.